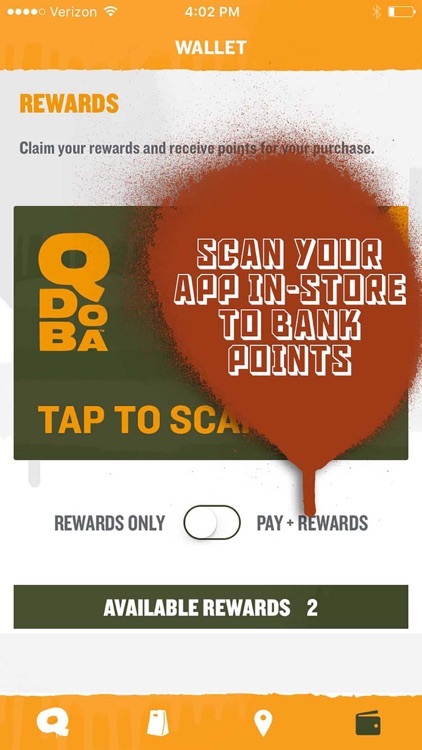 Introducing QDOBA Rewards – the official online ordering and mobile rewards app from QDOBA Mexican Eats®. We’ve expanded our rewards program to give you more – more points for every dollar spent and more redeemable rewards and perks every time you order QDOBA. You have the freedom to choose how your points are used. 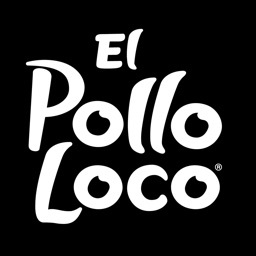 Cash points in for whatever you’re craving, whether it be handmade tortilla chips and our signature 3-Cheese Queso, a customizable crave-worthy burrito, one of our Knockout Tacos, or save them for something bigger and bolder. 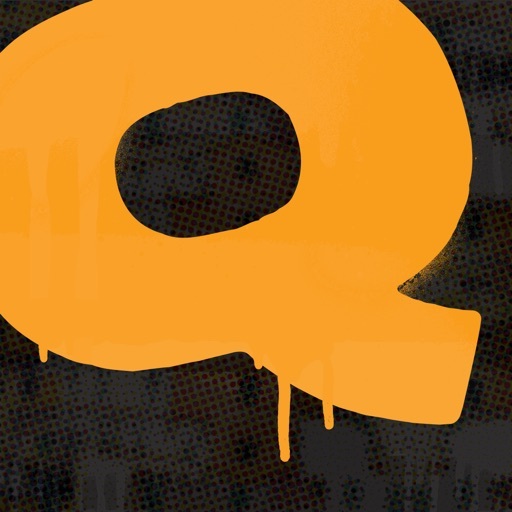 Complete challenges by exploring the menu, trying new creations, and sharing your QDOBA experience with friends. 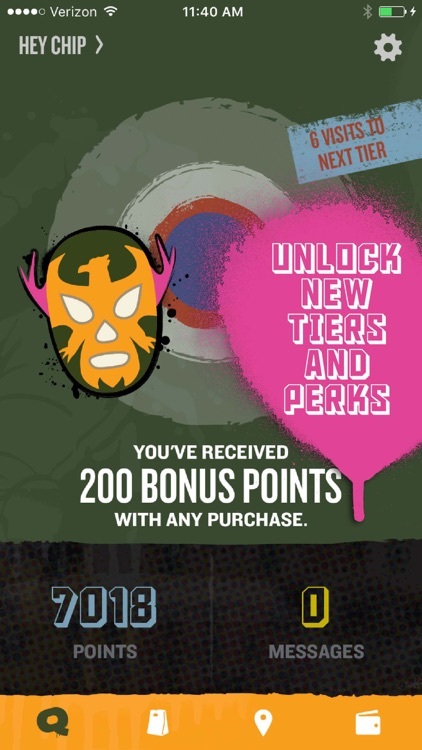 The more you order, the more rewards you get. Our improved online ordering lets you place your order and skip the line – you can come directly to the checkout counter at your scheduled pick-up time to pick up your order. 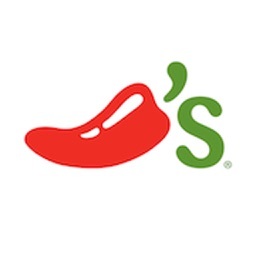 Review past orders and save your favorite menu items for easy reordering, customize the menu to your dietary preferences, and securely store a credit card to make checkouts a breeze. 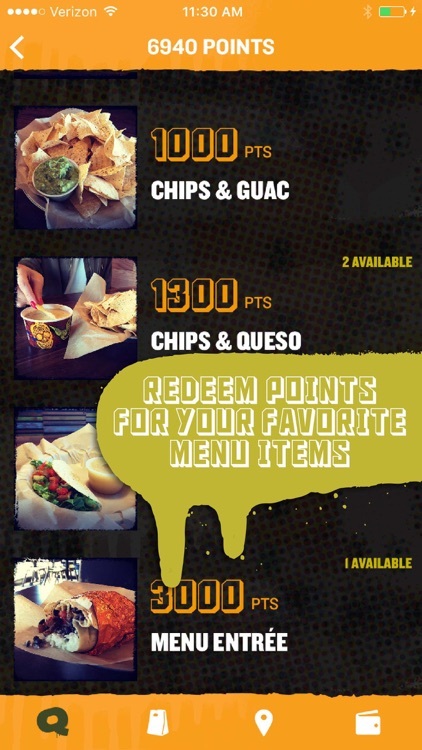 - New QDOBA Mobile Rewards Program: Score points, climb tiers and gain reusable perks. 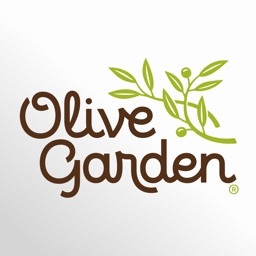 - Easy Online Ordering: Review past orders and save favorite menu items, customize the menu to your dietary preferences. 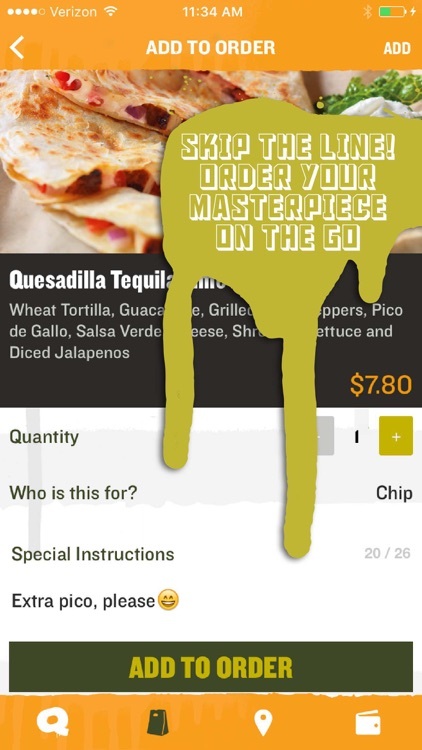 - Location Finder: Save your usual location or find a QDOBA restaurant closest to you. 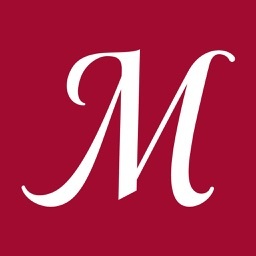 - Complete Challenges: Bonus points awarded for completing various in-app challenges. - QDOBA Wallet: Your Mobile Rewards Card and Saved Credit Card in one. Securely save your credit card for easy checkout while earning points and perks. 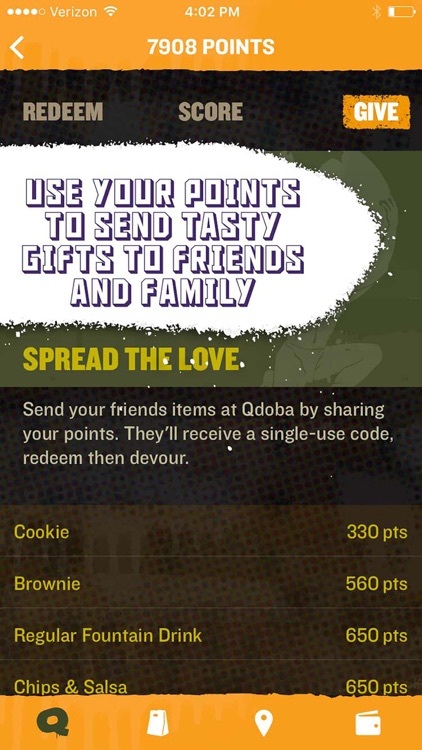 *The QDOBA Rewards app cannot be used to view and redeem Catering rewards Points. 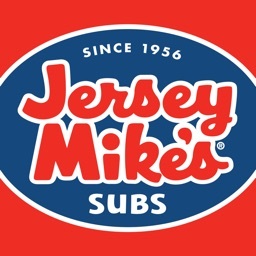 Jersey Mike's Franchise Systems, Inc.